4550301 MT 430 CP/CPC/CPL/CPS MANITOU MT 430 CP/CPC/CPL/CPS Telehandler MT series. Spare Parts Catalog. Service (workshop) Manual. Operator's Instruction Manual. 4550302 MT 523 Mono Ultra Series A MANITOU MT 523 Mono Ultra Series A Telehandler MT series. Spare Parts Catalog. Service (workshop) Manual. Operator's Instruction Manual. 4550303 MT 523 Mono-Ultra Series B-E2 MANITOU MT 523 Mono-Ultra Series B-E2 Telehandler MT series. Spare Parts Catalog. Service (workshop) Manual. Operator's Instruction Manual. 4550304 MT 523 Series A MANITOU MT 523 Series A Telehandler MT series. Spare Parts Catalog. Service (workshop) Manual. Operator's Instruction Manual. 4550305 MT 523 Series B-E2 MANITOU MT 523 Series B-E2 Telehandler MT series. Spare Parts Catalog. Service (workshop) Manual. Operator's Instruction Manual. 4550306 MT 523 Turbo Mono-Ultra Series A MANITOU MT 523 Turbo Mono-Ultra Series A Telehandler MT series. Spare Parts Catalog. Service (workshop) Manual. Operator's Instruction Manual. 4550307 MT 620 Series B-E2 MANITOU MT 620 Series B-E2 Telehandler MT series. Spare Parts Catalog. Service (workshop) Manual. Operator's Instruction Manual. 4550308 MT 625 Turbo Series 2-E3 MANITOU MT 625 Turbo Series 2-E3 Telehandler MT series. Spare Parts Catalog. Service (workshop) Manual. Operator's Instruction Manual. 4550309 MT 625T Comfort Series 2-E3 MANITOU MT 625T Comfort Series 2-E3 Telehandler MT series. Spare Parts Catalog. Service (workshop) Manual. Operator's Instruction Manual. 4550310 MT 728 Series Ñ-E2 MANITOU MT 728 Series Ñ-E2 Telehandler MT series. Spare Parts Catalog. Service (workshop) Manual. Operator's Instruction Manual. 4550311 MT 728 Series D-E3 MANITOU MT 728 Series D-E3 Telehandler MT series. Spare Parts Catalog. Service (workshop) Manual. Operator's Instruction Manual. 4550312 MT 728-4 MANITOU MT 728-4 Telehandler MT series. Spare Parts Catalog. Service (workshop) Manual. Operator's Instruction Manual. 4550313 MT 728-4 Turbo MANITOU MT 728-4 Turbo Telehandler MT series. Spare Parts Catalog. Service (workshop) Manual. Operator's Instruction Manual. 4550314 MT 732 MANITOU MT 732 Telehandler MT series. Spare Parts Catalog. Service (workshop) Manual. Operator's Instruction Manual. 4550315 MT 732 Series 1 MANITOU MT 732 Series 1 Telehandler MT series. Spare Parts Catalog. Service (workshop) Manual. Operator's Instruction Manual. 4550316 MT 732 Series 1A MANITOU MT 732 Series 1A Telehandler MT series. Spare Parts Catalog. Service (workshop) Manual. Operator's Instruction Manual. 4550317 MT 732 Series A MANITOU MT 732 Series A Telehandler MT series. Spare Parts Catalog. Service (workshop) Manual. Operator's Instruction Manual. 4550318 MT 732 Series B-E2 MANITOU MT 732 Series B-E2 Telehandler MT series. Spare Parts Catalog. Service (workshop) Manual. Operator's Instruction Manual. 4550319 MT 732 Series Ñ-E2 MANITOU MT 732 Series Ñ-E2 Telehandler MT series. Spare Parts Catalog. Service (workshop) Manual. Operator's Instruction Manual. 4550320 MT 732 Series D-E3 MANITOU MT 732 Series D-E3 Telehandler MT series. Spare Parts Catalog. Service (workshop) Manual. Operator's Instruction Manual. 4550321 MT 732 ST3B MANITOU MT 732 ST3B Telehandler MT series. Spare Parts Catalog. Service (workshop) Manual. Operator's Instruction Manual. 4550322 MT 732 Turbo MANITOU MT 732 Turbo Telehandler MT series. Spare Parts Catalog. Service (workshop) Manual. Operator's Instruction Manual. 4550323 MT 732 Turbo Series 1 MANITOU MT 732 Turbo Series 1 Telehandler MT series. Spare Parts Catalog. Service (workshop) Manual. Operator's Instruction Manual. 4550324 MT 732 Turbo Series 1A MANITOU MT 732 Turbo Series 1A Telehandler MT series. Spare Parts Catalog. Service (workshop) Manual. Operator's Instruction Manual. 4550325 MT 732 Turbo Series A MANITOU MT 732 Turbo Series A Telehandler MT series. Spare Parts Catalog. Service (workshop) Manual. Operator's Instruction Manual. 4550326 MT 732 Turbo Series Ñ-E2 MANITOU MT 732 Turbo Series Ñ-E2 Telehandler MT series. Spare Parts Catalog. Service (workshop) Manual. Operator's Instruction Manual. 4550327 MT 835 ST3B MANITOU MT 835 ST3B Telehandler MT series. Spare Parts Catalog. Service (workshop) Manual. Operator's Instruction Manual. 4550328 MT 835-120 LS Series 2 MANITOU MT 835-120 LS Series 2 Telehandler MT series. Spare Parts Catalog. Service (workshop) Manual. Operator's Instruction Manual. 4550329 MT 845 MANITOU MT 845 Telehandler MT series. Spare Parts Catalog. Service (workshop) Manual. Operator's Instruction Manual. 4550330 MT 845 H Turbo Series 1 MANITOU MT 845 H Turbo Series 1 Telehandler MT series. Spare Parts Catalog. Service (workshop) Manual. Operator's Instruction Manual. 4550331 MT 845 Series 2 MANITOU MT 845 Series 2 Telehandler MT series. Spare Parts Catalog. Service (workshop) Manual. Operator's Instruction Manual. 4550332 MT 845 Turbo MANITOU MT 845 Turbo Telehandler MT series. Spare Parts Catalog. Service (workshop) Manual. Operator's Instruction Manual. 4550333 MT 845 Turbo Mono Ultra MANITOU MT 845 Turbo Mono Ultra Telehandler MT series. Spare Parts Catalog. Service (workshop) Manual. Operator's Instruction Manual. 4550334 MT 845 Turbo Series 2 MANITOU MT 845 Turbo Series 2 Telehandler MT series. Spare Parts Catalog. Service (workshop) Manual. Operator's Instruction Manual. 4550335 MT 928 Series C-E2 MANITOU MT 928 Series C-E2 Telehandler MT series. Spare Parts Catalog. Service (workshop) Manual. Operator's Instruction Manual. 4550336 MT 928 Series D-E3 MANITOU MT 928 Series D-E3 Telehandler MT series. Spare Parts Catalog. Service (workshop) Manual. Operator's Instruction Manual. 4550337 MT 928-4 MANITOU MT 928-4 Telehandler MT series. Spare Parts Catalog. Service (workshop) Manual. Operator's Instruction Manual. 4550338 MT 928-4 Turbo MANITOU MT 928-4 Turbo Telehandler MT series. Spare Parts Catalog. Service (workshop) Manual. Operator's Instruction Manual. 4550339 MT 932 MANITOU MT 932 Telehandler MT series. Spare Parts Catalog. Service (workshop) Manual. Operator's Instruction Manual. 4550340 MT 932 Series 1 MANITOU MT 932 Series 1 Telehandler MT series. Spare Parts Catalog. Service (workshop) Manual. Operator's Instruction Manual. 4550341 MT 932 Series 1A MANITOU MT 932 Series 1A Telehandler MT series. Spare Parts Catalog. Service (workshop) Manual. Operator's Instruction Manual. 4550342 MT 932 Series A MANITOU MT 932 Series A Telehandler MT series. Spare Parts Catalog. Service (workshop) Manual. Operator's Instruction Manual. 4550343 MT 932 Series B-E2 MANITOU MT 932 Series B-E2 Telehandler MT series. Spare Parts Catalog. Service (workshop) Manual. Operator's Instruction Manual. 4550344 MT 932 Series C-E2 MANITOU MT 932 Series C-E2 Telehandler MT series. Spare Parts Catalog. Service (workshop) Manual. Operator's Instruction Manual. 4550345 MT 932 Series D-E3 MANITOU MT 932 Series D-E3 Telehandler MT series. Spare Parts Catalog. Service (workshop) Manual. Operator's Instruction Manual. 4550346 MT 932 ST3B MANITOU MT 932 ST3B Telehandler MT series. Spare Parts Catalog. Service (workshop) Manual. Operator's Instruction Manual. 4550347 MT 932 Turbo MANITOU MT 932 Turbo Telehandler MT series. Spare Parts Catalog. Service (workshop) Manual. Operator's Instruction Manual. 4550348 MT 932 Turbo Series 1 MANITOU MT 932 Turbo Series 1 Telehandler MT series. Spare Parts Catalog. Service (workshop) Manual. Operator's Instruction Manual. 4550349 MT 932 Turbo Series 1A MANITOU MT 932 Turbo Series 1A Telehandler MT series. Spare Parts Catalog. Service (workshop) Manual. Operator's Instruction Manual. 4550350 MT 932 Turbo Series C-E2 MANITOU MT 932 Turbo Series C-E2 Telehandler MT series. Spare Parts Catalog. Service (workshop) Manual. Operator's Instruction Manual. 4550351 MT 940 H Turbo Series 1 MANITOU MT 940 H Turbo Series 1 Telehandler MT series. Spare Parts Catalog. Service (workshop) Manual. Operator's Instruction Manual. 4550352 MT 940 L MANITOU MT 940 L Telehandler MT series. Spare Parts Catalog. Service (workshop) Manual. Operator's Instruction Manual. 4550353 MT 940 L Series 2 MANITOU MT 940 L Series 2 Telehandler MT series. Spare Parts Catalog. Service (workshop) Manual. Operator's Instruction Manual. 4550354 MT 940 L Turbo MANITOU MT 940 L Turbo Telehandler MT series. Spare Parts Catalog. Service (workshop) Manual. Operator's Instruction Manual. 4550355 MT 940 L Turbo Mono Ultra MANITOU MT 940 L Turbo Mono Ultra Telehandler MT series. Spare Parts Catalog. Service (workshop) Manual. Operator's Instruction Manual. 4550356 MT 940 L Turbo Series 2 MANITOU MT 940 L Turbo Series 2 Telehandler MT series. Spare Parts Catalog. Service (workshop) Manual. Operator's Instruction Manual. 4550357 MT 940 L Turbo Series 3-E2 MANITOU MT 940 L Turbo Series 3-E2 Telehandler MT series. Spare Parts Catalog. Service (workshop) Manual. Operator's Instruction Manual. 4550358 MT 940 L Turbo Series 3-E3 MANITOU MT 940 L Turbo Series 3-E3 Telehandler MT series. Spare Parts Catalog. Service (workshop) Manual. Operator's Instruction Manual. 4550359 MT 940-120 LS Series 2 MANITOU MT 940-120 LS Series 2 Telehandler MT series. Spare Parts Catalog. Service (workshop) Manual. Operator's Instruction Manual. 4550360 MT 1030 S Series 2-E2 MANITOU MT 1030 S Series 2-E2 Telehandler MT series. Spare Parts Catalog. Service (workshop) Manual. Operator's Instruction Manual. 4550361 MT 1030 S Series 3-E2 MANITOU MT 1030 S Series 3-E2 Telehandler MT series. Spare Parts Catalog. Service (workshop) Manual. Operator's Instruction Manual. 4550362 MT 1030 S Series 4-E3 MANITOU MT 1030 S Series 4-E3 Telehandler MT series. Spare Parts Catalog. Service (workshop) Manual. Operator's Instruction Manual. 4550363 MT 1030 S Series C-E2 MANITOU MT 1030 S Series C-E2 Telehandler MT series. Spare Parts Catalog. Service (workshop) Manual. Operator's Instruction Manual. 4550364 MT 1030 S Turbo Series 3-E2 MANITOU MT 1030 S Turbo Series 3-E2 Telehandler MT series. Spare Parts Catalog. Service (workshop) Manual. Operator's Instruction Manual. 4550365 MT 1030 S Turbo Series 4-E3 MANITOU MT 1030 S Turbo Series 4-E3 Telehandler MT series. Spare Parts Catalog. Service (workshop) Manual. Operator's Instruction Manual. 4550366 MT 1030 S Turbo Series C-E2 MANITOU MT 1030 S Turbo Series C-E2 Telehandler MT series. Spare Parts Catalog. Service (workshop) Manual. Operator's Instruction Manual. 4550367 MT 1030 ST Series 2-E2 MANITOU MT 1030 ST Series 2-E2 Telehandler MT series. Spare Parts Catalog. Service (workshop) Manual. Operator's Instruction Manual. 4550368 MT 1033 HL Turbo Series 1 MANITOU MT 1033 HL Turbo Series 1 Telehandler MT series. Spare Parts Catalog. Service (workshop) Manual. Operator's Instruction Manual. 4550369 MT 1033 HL Turbo Series 2 MANITOU MT 1033 HL Turbo Series 2 Telehandler MT series. Spare Parts Catalog. Service (workshop) Manual. Operator's Instruction Manual. 4550370 MT 1033 HL Turbo Series 2-E2 MANITOU MT 1033 HL Turbo Series 2-E2 Telehandler MT series. Spare Parts Catalog. Service (workshop) Manual. Operator's Instruction Manual. 4550371 MT 1135 ST3B MANITOU MT 1135 ST3B Telehandler MT series. Spare Parts Catalog. Service (workshop) Manual. Operator's Instruction Manual. 4550372 MT 1155 Maniscopic T3 MANITOU MT 1155 Maniscopic T3 Telehandler MT series. Spare Parts Catalog. Service (workshop) Manual. Operator's Instruction Manual. 4550373 MT 1155 MANITOU MT 1155 Telehandler MT series. Spare Parts Catalog. Service (workshop) Manual. Operator's Instruction Manual. 4550374 MT 1155 MANITOU MT 1155 Telehandler MT series. Spare Parts Catalog. Service (workshop) Manual. Operator's Instruction Manual. 4550375 MT 1233 S Series 2 MANITOU MT 1233 S Series 2 Telehandler MT series. Spare Parts Catalog. Service (workshop) Manual. Operator's Instruction Manual. 4550376 MT 1233 S Turbo Series 2 MANITOU MT 1233 S Turbo Series 2 Telehandler MT series. Spare Parts Catalog. Service (workshop) Manual. Operator's Instruction Manual. 4550377 MT 1235 STurbo Series 3-E2 MANITOU MT 1235 STurbo Series 3-E2 Telehandler MT series. Spare Parts Catalog. Service (workshop) Manual. Operator's Instruction Manual. 4550378 MT 1235 HS Turbo Series 2-E2 MANITOU MT 1235 HS Turbo Series 2-E2 Telehandler MT series. Spare Parts Catalog. Service (workshop) Manual. Operator's Instruction Manual. 4550379 MT 1235 S Series 3-E2 MANITOU MT 1235 S Series 3-E2 Telehandler MT series. Spare Parts Catalog. Service (workshop) Manual. Operator's Instruction Manual. 4550380 MT 1235 S Series 3-E3 MANITOU MT 1235 S Series 3-E3 Telehandler MT series. Spare Parts Catalog. Service (workshop) Manual. Operator's Instruction Manual. 4550381 MT 1235 S Turbo Series 3-E2 MANITOU MT 1235 S Turbo Series 3-E2 Telehandler MT series. Spare Parts Catalog. Service (workshop) Manual. Operator's Instruction Manual. 4550382 MT 1235 S Turbo Series 3-E3 MANITOU MT 1235 S Turbo Series 3-E3 Telehandler MT series. Spare Parts Catalog. Service (workshop) Manual. Operator's Instruction Manual. 4550383 MT 1240 L Series 2 MANITOU MT 1240 L Series 2 Telehandler MT series. Spare Parts Catalog. Service (workshop) Manual. Operator's Instruction Manual. 4550384 MT 1240 L Turbo Series 2 MANITOU MT 1240 L Turbo Series 2 Telehandler MT series. Spare Parts Catalog. Service (workshop) Manual. Operator's Instruction Manual. 4550385 MT 1240 L Turbo Series 3-E2 MANITOU MT 1240 L Turbo Series 3-E2 Telehandler MT series. Spare Parts Catalog. Service (workshop) Manual. Operator's Instruction Manual. 4550386 MT 1240 L Turbo Ultra Series 3-E2 MANITOU MT 1240 L Turbo Ultra Series 3-E2 Telehandler MT series. Spare Parts Catalog. Service (workshop) Manual. Operator's Instruction Manual. 4550387 MT 1330 SL Series 1 MANITOU MT 1330 SL Series 1 Telehandler MT series. Spare Parts Catalog. Service (workshop) Manual. Operator's Instruction Manual. 4550388 MT 1330 SL Series 2 MANITOU MT 1330 SL Series 2 Telehandler MT series. Spare Parts Catalog. Service (workshop) Manual. Operator's Instruction Manual. 4550389 MT 1330 SL Turbo Series 1 MANITOU MT 1330 SL Turbo Series 1 Telehandler MT series. Spare Parts Catalog. Service (workshop) Manual. Operator's Instruction Manual. 4550390 MT 1330 SL Turbo Series 2 MANITOU MT 1330 SL Turbo Series 2 Telehandler MT series. Spare Parts Catalog. Service (workshop) Manual. Operator's Instruction Manual. 4550391 MT 1332 HSL Turbo Series 1 MANITOU MT 1332 HSL Turbo Series 1 Telehandler MT series. Spare Parts Catalog. Service (workshop) Manual. Operator's Instruction Manual. 4550392 MT 1335 SL Series 3-E2 MANITOU MT 1335 SL Series 3-E2 Telehandler MT series. Spare Parts Catalog. Service (workshop) Manual. Operator's Instruction Manual. 4550393 MT 1335 SL Turbo Series 3-E2 MANITOU MT 1335 SL Turbo Series 3-E2 Telehandler MT series. Spare Parts Catalog. Service (workshop) Manual. Operator's Instruction Manual. 4550394 MT 1335 ST3B MANITOU MT 1335 ST3B Telehandler MT series. Spare Parts Catalog. Service (workshop) Manual. Operator's Instruction Manual. 4550395 MT 1337 SL Series 1 MANITOU MT 1337 SL Series 1 Telehandler MT series. Spare Parts Catalog. Service (workshop) Manual. Operator's Instruction Manual. 4550396 MT 1337 SL Series 2 MANITOU MT 1337 SL Series 2 Telehandler MT series. Spare Parts Catalog. Service (workshop) Manual. Operator's Instruction Manual. 4550397 MT 1337 SL Turbo Series 1 MANITOU MT 1337 SL Turbo Series 1 Telehandler MT series. Spare Parts Catalog. Service (workshop) Manual. Operator's Instruction Manual. 4550398 MT 1337 SL Turbo Series 2 MANITOU MT 1337 SL Turbo Series 2 Telehandler MT series. Spare Parts Catalog. Service (workshop) Manual. Operator's Instruction Manual. 4550399 MT 1340 SL Turbo Mono Ultra Series 3-E2 MANITOU MT 1340 SL Turbo Mono Ultra Series 3-E2 Telehandler MT series. Spare Parts Catalog. Service (workshop) Manual. Operator's Instruction Manual. 4550400 MT 1340 SL Turbo Mono-Ultra NACELLE ORH Series 3-E2 MANITOU MT 1340 SL Turbo Mono-Ultra NACELLE ORH Series 3-E2 Telehandler MT series. Spare Parts Catalog. Service (workshop) Manual. Operator's Instruction Manual. 4550401 MT 1340 SL Turbo Series 3-E2 MANITOU MT 1340 SL Turbo Series 3-E2 Telehandler MT series. Spare Parts Catalog. Service (workshop) Manual. Operator's Instruction Manual. 4550402 MT 1340 SL Turbo Ultra NACELLE ORH RC Series 3-E2 MANITOU MT 1340 SL Turbo Ultra NACELLE ORH RC Series 3-E2 Telehandler MT series. Spare Parts Catalog. Service (workshop) Manual. Operator's Instruction Manual. 4550403 MT 1340 SL Turbo Ultra Series 3-E2 MANITOU MT 1340 SL Turbo Ultra Series 3-E2 Telehandler MT series. Spare Parts Catalog. Service (workshop) Manual. Operator's Instruction Manual. 4550404 MT 1435 H SL Turbo Series 2-E2 MANITOU MT 1435 H SL Turbo Series 2-E2 Telehandler MT series. Spare Parts Catalog. Service (workshop) Manual. Operator's Instruction Manual. 4550405 MT 1435 H SL Turbo Ultra Series 2-E2 MANITOU MT 1435 H SL Turbo Ultra Series 2-E2 Telehandler MT series. Spare Parts Catalog. Service (workshop) Manual. Operator's Instruction Manual. 4550406 MT 1435 SL Series 3-E2 MANITOU MT 1435 SL Series 3-E2 Telehandler MT series. Spare Parts Catalog. Service (workshop) Manual. Operator's Instruction Manual. 4550407 MT 1435 SL Turbo Series 3-E2 MANITOU MT 1435 SL Turbo Series 3-E2 Telehandler MT series. Spare Parts Catalog. Service (workshop) Manual. Operator's Instruction Manual. 4550408 MT 1435 SL Turbo Series 3-E3 MANITOU MT 1435 SL Turbo Series 3-E3 Telehandler MT series. Spare Parts Catalog. Service (workshop) Manual. Operator's Instruction Manual. 4550409 MT 1436 R Pivilege MANITOU MT 1436 R Pivilege Telehandler MT series. Spare Parts Catalog. Service (workshop) Manual. Operator's Instruction Manual. 4550410 MT 1440 A E3 MANITOU MT 1440 A E3 Telehandler MT series. Spare Parts Catalog. Service (workshop) Manual. Operator's Instruction Manual. 4550411 MT 1440 A Privilege MANITOU MT 1440 A Privilege Telehandler MT series. Spare Parts Catalog. Service (workshop) Manual. Operator's Instruction Manual. 4550412 MT 1440 EP Privilege MANITOU MT 1440 EP Privilege Telehandler MT series. Spare Parts Catalog. Service (workshop) Manual. Operator's Instruction Manual. 4550413 MT 1440 Privilege MANITOU MT 1440 Privilege Telehandler MT series. Spare Parts Catalog. Service (workshop) Manual. Operator's Instruction Manual. 4550414 MT 1440 SL Series 3-E2 MANITOU MT 1440 SL Series 3-E2 Telehandler MT series. Spare Parts Catalog. Service (workshop) Manual. Operator's Instruction Manual. 4550415 MT 1440 SL Turbo Mono-Ultra NACELLE ORH Series 3-E2 MANITOU MT 1440 SL Turbo Mono-Ultra NACELLE ORH Series 3-E2 Telehandler MT series. Spare Parts Catalog. Service (workshop) Manual. Operator's Instruction Manual. 4550416 MT 1440 SL Turbo Series 3-E2 MANITOU MT 1440 SL Turbo Series 3-E2 Telehandler MT series. Spare Parts Catalog. Service (workshop) Manual. Operator's Instruction Manual. 4550417 MT 1440 SL Turbo Ultra NACELLE ORH RC Series 3-E2 MANITOU MT 1440 SL Turbo Ultra NACELLE ORH RC Series 3-E2 Telehandler MT series. Spare Parts Catalog. Service (workshop) Manual. Operator's Instruction Manual. 4550418 MT 1440 SL Turbo Ultra Series 3-E2 MANITOU MT 1440 SL Turbo Ultra Series 3-E2 Telehandler MT series. Spare Parts Catalog. Service (workshop) Manual. Operator's Instruction Manual. 4550419 MT 1440 ST3B MANITOU MT 1440 ST3B Telehandler MT series. Spare Parts Catalog. Service (workshop) Manual. Operator's Instruction Manual. 4550420 MT 1637 HSL Turbo Series 1 MANITOU MT 1637 HSL Turbo Series 1 Telehandler MT series. Spare Parts Catalog. Service (workshop) Manual. Operator's Instruction Manual. 4550421 MT 1637 SL Series 1 MANITOU MT 1637 SL Series 1 Telehandler MT series. Spare Parts Catalog. Service (workshop) Manual. Operator's Instruction Manual. 4550422 MT 1637 SL Series 2 MANITOU MT 1637 SL Series 2 Telehandler MT series. Spare Parts Catalog. Service (workshop) Manual. Operator's Instruction Manual. 4550423 MT 1637 SL Turbo Series 1 MANITOU MT 1637 SL Turbo Series 1 Telehandler MT series. Spare Parts Catalog. Service (workshop) Manual. Operator's Instruction Manual. 4550424 MT 1637 SL Turbo Series 2 MANITOU MT 1637 SL Turbo Series 2 Telehandler MT series. Spare Parts Catalog. Service (workshop) Manual. Operator's Instruction Manual. 4550425 MT 1645 H Turbo MANITOU MT 1645 H Turbo Telehandler MT series. Spare Parts Catalog. Service (workshop) Manual. Operator's Instruction Manual. 4550426 MT 1645 HSL Series 1 MANITOU MT 1645 HSL Series 1 Telehandler MT series. Spare Parts Catalog. Service (workshop) Manual. Operator's Instruction Manual. 4550427 MT 1645 HSL Turbo Series 1 MANITOU MT 1645 HSL Turbo Series 1 Telehandler MT series. Spare Parts Catalog. Service (workshop) Manual. Operator's Instruction Manual. 4550428 MT 1740 SL Series 2 MANITOU MT 1740 SL Series 2 Telehandler MT series. Spare Parts Catalog. Service (workshop) Manual. Operator's Instruction Manual. 4550429 MT 1740 SL Turbo Mono Ultra Series 2 MANITOU MT 1740 SL Turbo Mono Ultra Series 2 Telehandler MT series. Spare Parts Catalog. Service (workshop) Manual. Operator's Instruction Manual. 4550430 MT 1740 SL Turbo Mono Ultra Series 3-E2 MANITOU MT 1740 SL Turbo Mono Ultra Series 3-E2 Telehandler MT series. Spare Parts Catalog. Service (workshop) Manual. Operator's Instruction Manual. 4550431 MT 1740 SL Turbo Mono-Ultra NACELLE ORH Series 3-E2 MANITOU MT 1740 SL Turbo Mono-Ultra NACELLE ORH Series 3-E2 Telehandler MT series. Spare Parts Catalog. Service (workshop) Manual. Operator's Instruction Manual. 4550432 MT 1740 SL Turbo Series 2 MANITOU MT 1740 SL Turbo Series 2 Telehandler MT series. Spare Parts Catalog. Service (workshop) Manual. Operator's Instruction Manual. 4550433 MT 1740 SL Turbo Series 3-E2 MANITOU MT 1740 SL Turbo Series 3-E2 Telehandler MT series. Spare Parts Catalog. Service (workshop) Manual. Operator's Instruction Manual. 4550434 MT 1740 SL Turbo Ultra NACELLE ORH RC Series 3-E2 MANITOU MT 1740 SL Turbo Ultra NACELLE ORH RC Series 3-E2 Telehandler MT series. Spare Parts Catalog. Service (workshop) Manual. Operator's Instruction Manual. 4550435 MT 1740 SL Turbo Ultra Series 3-E2 MANITOU MT 1740 SL Turbo Ultra Series 3-E2 Telehandler MT series. Spare Parts Catalog. Service (workshop) Manual. Operator's Instruction Manual. 4550436 MT 1745 H SL Turbo Mono-Ultra Serie 2-E2 MANITOU MT 1745 H SL Turbo Mono-Ultra Serie 2-E2 Telehandler MT series. Spare Parts Catalog. Service (workshop) Manual. Operator's Instruction Manual. 4550437 MT 1745 HSL Turbo ULTRA Series 2-E2 MANITOU MT 1745 HSL Turbo ULTRA Series 2-E2 Telehandler MT series. Spare Parts Catalog. Service (workshop) Manual. Operator's Instruction Manual. 4550438 MT 1840 A E3 MANITOU MT 1840 A E3 Telehandler MT series. Spare Parts Catalog. Service (workshop) Manual. Operator's Instruction Manual. 4550439 MT 1840 A Privilege MANITOU MT 1840 A Privilege Telehandler MT series. Spare Parts Catalog. Service (workshop) Manual. Operator's Instruction Manual. 4550440 MT 1840 EP Privilege MANITOU MT 1840 EP Privilege Telehandler MT series. Spare Parts Catalog. Service (workshop) Manual. Operator's Instruction Manual. 4550441 MT 1840 Privilege MANITOU MT 1840 Privilege Telehandler MT series. Spare Parts Catalog. Service (workshop) Manual. Operator's Instruction Manual. 4550442 MT 1840 R Pivilege MANITOU MT 1840 R Pivilege Telehandler MT series. Spare Parts Catalog. Service (workshop) Manual. Operator's Instruction Manual. 4550443 MT 1840 ST3B MANITOU MT 1840 ST3B Telehandler MT series. Spare Parts Catalog. Service (workshop) Manual. Operator's Instruction Manual. 4550444 MT 5519 MANITOU MT 5519 Telehandler MT series. Spare Parts Catalog. Service (workshop) Manual. Operator's Instruction Manual. 4550445 MT 6034 XT MANITOU MT 6034 XT Telehandler MT series. Spare Parts Catalog. Service (workshop) Manual. Operator's Instruction Manual. 4550446 MT 6034 T MANITOU MT 6034 T Telehandler MT series. Spare Parts Catalog. Service (workshop) Manual. Operator's Instruction Manual. 4550447 MT 6642 T MANITOU MT 6642 T Telehandler MT series. Spare Parts Catalog. Service (workshop) Manual. Operator's Instruction Manual. 4550448 MT 6642 XT MANITOU MT 6642 XT Telehandler MT series. Spare Parts Catalog. Service (workshop) Manual. Operator's Instruction Manual. 4550449 MT 8044 XT MANITOU MT 8044 XT Telehandler MT series. Spare Parts Catalog. Service (workshop) Manual. Operator's Instruction Manual. 4550450 MT 10044 XT MANITOU MT 10044 XT Telehandler MT series. Spare Parts Catalog. Service (workshop) Manual. Operator's Instruction Manual. 4550451 MT 10055 XT MANITOU MT 10055 XT Telehandler MT series. Spare Parts Catalog. Service (workshop) Manual. Operator's Instruction Manual. 4550452 MT 12042 XT MANITOU MT 12042 XT Telehandler MT series. Spare Parts Catalog. Service (workshop) Manual. Operator's Instruction Manual. 4550454 TMT 315 MANITOU TMT 315 Truck mounted forklift TMT series. Spare Parts Catalog. Service (workshop) Manual. Operator's Instruction Manual. 4550455 TMT 315 SIFL MANITOU TMT 315 SIFL Truck mounted forklift TMT series. Spare Parts Catalog. Service (workshop) Manual. Operator's Instruction Manual. 4550456 TMT 320 MANITOU TMT 320 Truck mounted forklift TMT series. Spare Parts Catalog. Service (workshop) Manual. Operator's Instruction Manual. 4550457 TMT 320 FL MANITOU TMT 320 FL Truck mounted forklift TMT series. Spare Parts Catalog. Service (workshop) Manual. Operator's Instruction Manual. 4550458 TMT 320 FL HT MANITOU TMT 320 FL HT Truck mounted forklift TMT series. Spare Parts Catalog. Service (workshop) Manual. Operator's Instruction Manual. 4550459 TMT 320 FL Turbo MANITOU TMT 320 FL Turbo Truck mounted forklift TMT series. Spare Parts Catalog. Service (workshop) Manual. Operator's Instruction Manual. 4550460 TMT 320 FL Turbo HT MANITOU TMT 320 FL Turbo HT Truck mounted forklift TMT series. Spare Parts Catalog. Service (workshop) Manual. Operator's Instruction Manual. 4550461 TMT 320 SI MANITOU TMT 320 SI Truck mounted forklift TMT series. Spare Parts Catalog. Service (workshop) Manual. Operator's Instruction Manual. 4550462 TMT 320 SIFL MANITOU TMT 320 SIFL Truck mounted forklift TMT series. Spare Parts Catalog. Service (workshop) Manual. Operator's Instruction Manual. 4550463 TMT 322 MANITOU TMT 322 Truck mounted forklift TMT series. Spare Parts Catalog. Service (workshop) Manual. Operator's Instruction Manual. 4550464 TMT 325 MANITOU TMT 325 Truck mounted forklift TMT series. Spare Parts Catalog. Service (workshop) Manual. Operator's Instruction Manual. 4550465 TMT 45 FL Series 1-E2 MANITOU TMT 45 FL Series 1-E2 Truck mounted forklift TMT series. Spare Parts Catalog. Service (workshop) Manual. Operator's Instruction Manual. 4550466 TMT 45 Series 1-E2 MANITOU TMT 45 Series 1-E2 Truck mounted forklift TMT series. Spare Parts Catalog. Service (workshop) Manual. Operator's Instruction Manual. 4550467 TMT 55 FL - 4W Series 1-E2 MANITOU TMT 55 FL - 4W Series 1-E2 Truck mounted forklift TMT series. Spare Parts Catalog. Service (workshop) Manual. Operator's Instruction Manual. 4550468 TMT 55 HT - 4W Series 1-E2 MANITOU TMT 55 HT - 4W Series 1-E2 Truck mounted forklift TMT series. Spare Parts Catalog. Service (workshop) Manual. Operator's Instruction Manual. 4550469 TMT 55 HT - 4W T3 MANITOU TMT 55 HT - 4W T3 Truck mounted forklift TMT series. Spare Parts Catalog. Service (workshop) Manual. Operator's Instruction Manual. 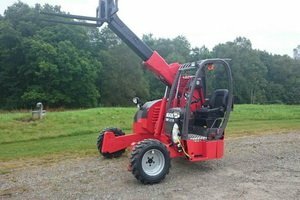 4550470 TMT 55 HT T3 MANITOU TMT 55 HT T3 Truck mounted forklift TMT series. Spare Parts Catalog. Service (workshop) Manual. Operator's Instruction Manual. 4550471 TMT 55 XT - 4W Series 1-E2 MANITOU TMT 55 XT - 4W Series 1-E2 Truck mounted forklift TMT series. Spare Parts Catalog. Service (workshop) Manual. Operator's Instruction Manual. 4550472 TMT 55 XT - 4W T3 MANITOU TMT 55 XT - 4W T3 Truck mounted forklift TMT series. Spare Parts Catalog. Service (workshop) Manual. Operator's Instruction Manual. 4550473 TMT 55 XT T3 MANITOU TMT 55 XT T3 Truck mounted forklift TMT series. Spare Parts Catalog. Service (workshop) Manual. Operator's Instruction Manual.